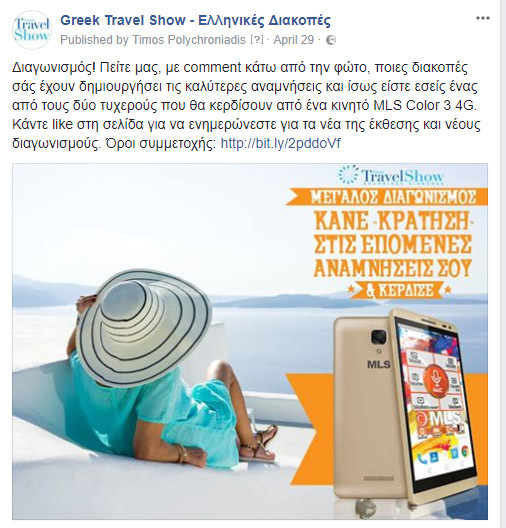 Social Media management and Performance Marketing with Ad Campaigns in Google and Facebook for the Greek Travel Show Exhibition. 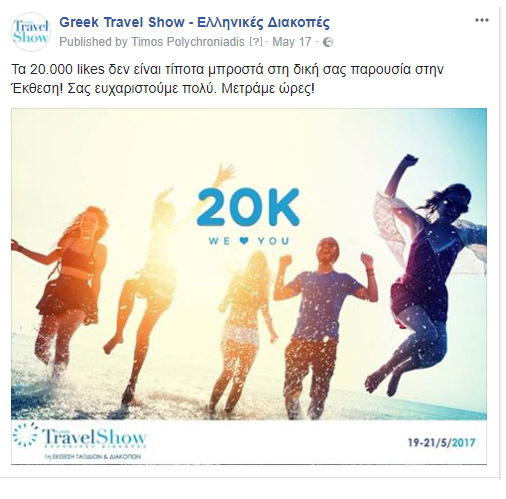 The “Greek Travel Show 2017” is the first tourism exhibition in Greece. It is organized by TIF- HELEXPO and it is held at “Helexpo Maroussi” International Exhibition and Congress Centre. 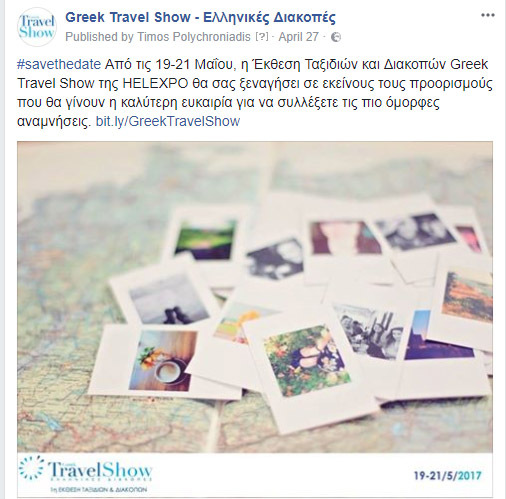 With Greek and abroad tourism destinations, visitors were able to find all the secrets that would make their vacations great. Sting Digital created a new Facebook and Instagram Page for the exhibition. 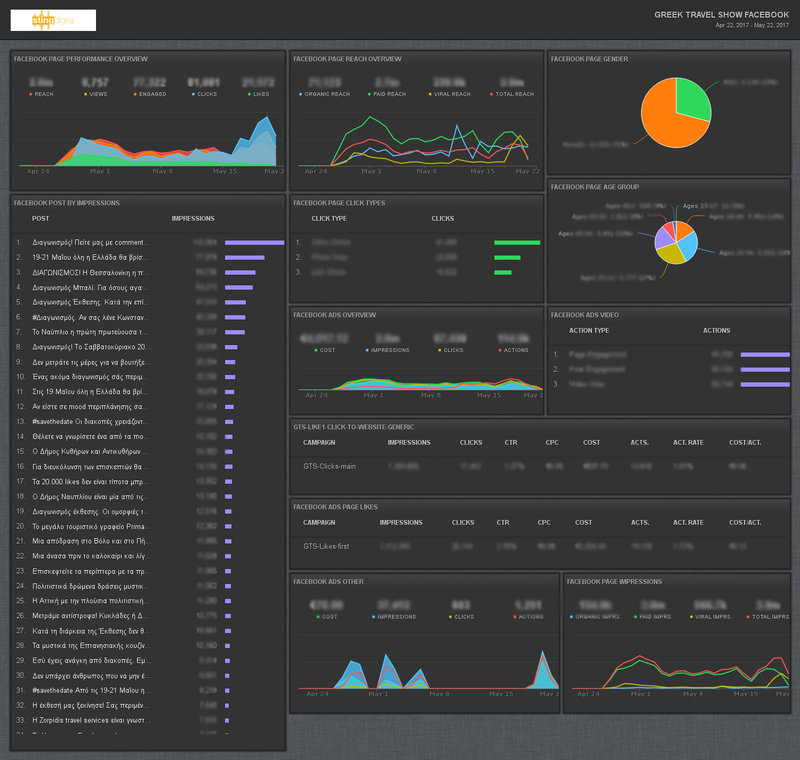 We developed all the posts, handled the monitoring of the pages and created all ad campaigns. The main communication channel for this exhibition was the dedicated Facebook page. In just 20 days we raised the Facebook likes from 0 to 21.000. We published over 40 posts in one month and also run 42 campaigns on Facebook, reaching over 3 million users. 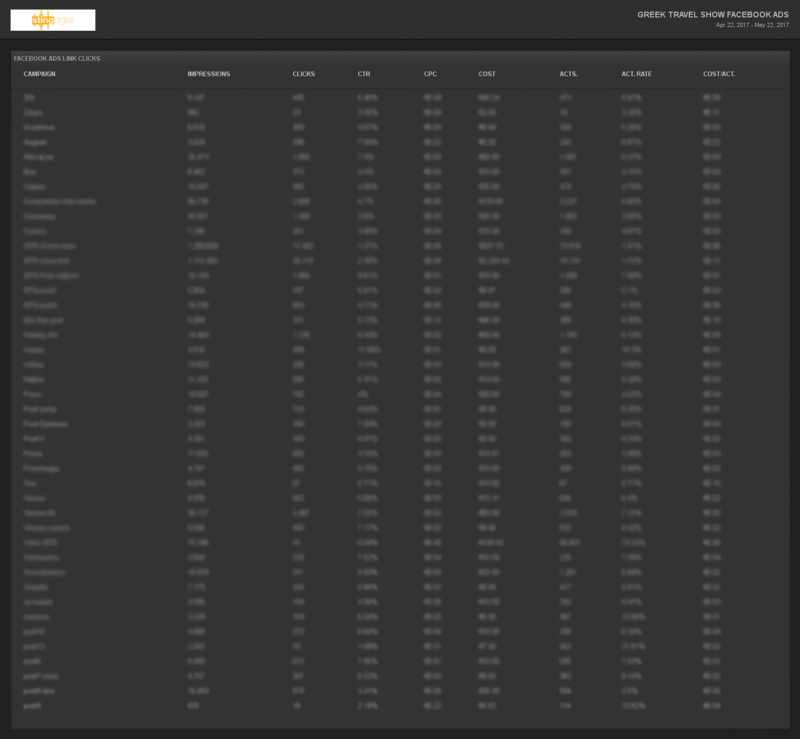 Besides all the campaigns on Facebook, we run a Search and a Display campaign via AdWords and GDN. 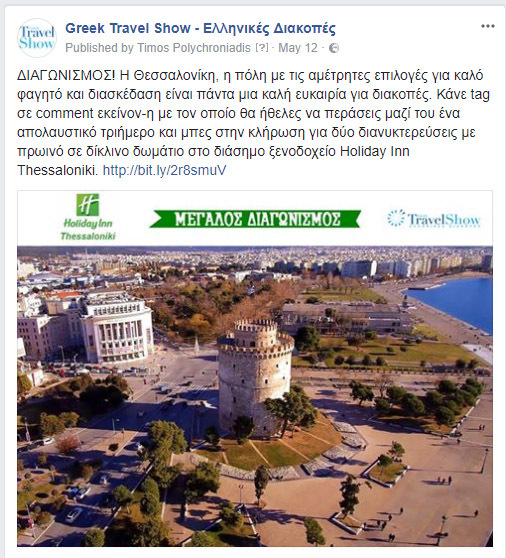 The Greek Travel Show Exhibition was very successful with over 9.200 visitors.